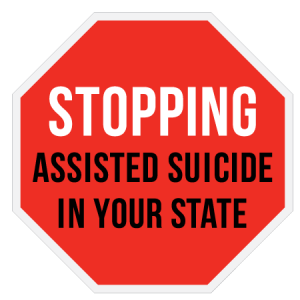 The Euthanasia Prevention Coalition co-sponsored Stopping Assisted Suicide in Your State at the Ramada Hotel (2020 Menaul Blvd, 505-312-9842) on Saturday January 26, 2019. The conference can still be watched online from anywhere in the world for $30. 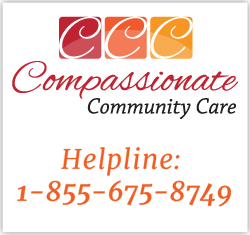 Please email info@epcc.ca or call 1-877-439-3348. Nick Goiran: Member of Parliament from Western Australia and author of the minority report opposing the legalization of assisted suicide. Diane Coleman: President and CEO of the disability rights group Not Dead Yet. Diane has been a leading voice opposing assisted suicide for more than 25 years. 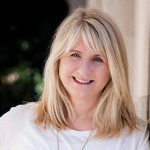 Amy Hasbrouck: Founder of Toujours Vivant – Not Dead Yet and President of the Euthanasia Prevention Coalition. Amy is also a trained lawyer. Alexandra Snyder: Executive Director of Life Legal Defense Foundation and the lead lawyer in the challenge to the California assisted suicide law. Kevin Yuill: Professor of History at the University of Sunderland in the UK. He is author of the book Assisted Suicide: The Liberal, Humanist Case Against Legalization. Annette Hanson: Forensic Psychiatrist at the University of Maryland School of Medicine. Annette co-authored the article, Twelve Myths About Physician Assisted Suicide and Medical Aid in Dying (MD Magazine, July 07, 2018). Catherine Glenn Foster: President and CEO of Americans United for Life and a lawyer. Catherine was the founding Executive Director of EPC-USA in 2016. Nancy Elliott: former three-term New Hampshire legislator and President of EPC-USA. Margaret Dore: Lawyer and President of Choice is an Illusion. Alex Schadenberg: Executive Director of the Euthanasia Prevention Coalition. Alex is an author and has done speaking tours throughout the world. Kevin Dunn: Producer of Fatal Flaws: Legalizing Assisted Death and The Euthanasia Deception. Kevin is an award-winning filmmaker and founder of DunnMedia & Entertainment. The EPC 2018 National Euthanasia Symposium: License to Care not Licence to Kill was at the Best Western PLUS Winnipeg Airport Hotel (1715 Wellington Ave). If you’re interested, it can still be watched online for $30. Keynote Speakers Alexandra Snyder, Esq., Executive Director of Life Legal Defense Foundation in California and Paul Saba, a Québec physician whose topic was Why I Won’t Kill. Other speakers included Kevin Dunn, Co-Producer of Fatal Flaws: Legalizing Assisted Death, Amy Hasbrouck and Taylor Hyatt from Not Dead Yet, James Mahony, freelance journalist and former lawyer, Jen Romnes, painter and author, and Alex Schadenberg, Executive Director of EPC. The EPC 2017 National Euthanasia Symposium was on Saturday, October 28th in Toronto, Ontario. 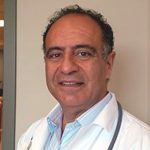 Speakers included Dr. Mark Komrad, Professor & Psychiatrist, Ramona Coelho, M.D., Kevin Dunn, Producer, Jen Romnes, Author, Dr. Jacqueline Abernathy, End-of-Life Policy Researcher, Amy Hasbrouck and Taylor Hyatt from Not Dead Yet, and Charles Lewis, anti-euthanasia activist and journalist. Contact us if you’re interested in watching a recording of the 2017 Symposium. The DVD set of the Third International Symposium on Euthanasia and Assisted Suicide is available for $30.00. This set includes presentations from Euthanasia Symposium 2013: Hope. Order the set by e-mailing us: info@epcc.ca or pay online by checking your choice and following PayPal’s instructions.